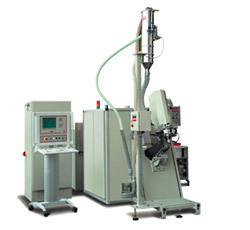 Low pressure PU processing technolgy is subdivided into the areas of pouring and injection processes. 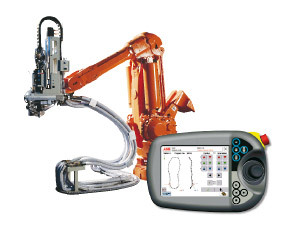 Pouring units may be controlled manually, by robot or using lineal axes. 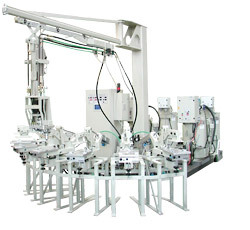 The PU material (polyol and isocynate) is poured into the open mould. On completion of pouring the mould is closed until the PU material is fully reacted. 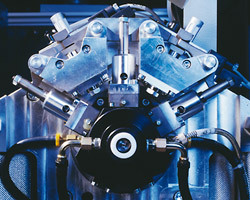 Injection units involve injection into the closed mould. After the material is completely reacted, the mould is opened and the product removed. 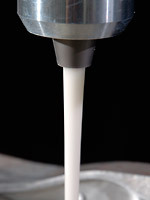 Pouring units are used for products whose properties should be modified by the use of granulates.